I'm back from Spring Break vacation. I'm unpacked and the laundry is almost done but how long does it take to catch up on the sleep??? Who said vacations were for resting! Our Internet connection at the hotel was pretty bad to say the least, so if you ordered tutorials between Wednesday, March 25th and Friday, March 27th and have not received them, please let me know ASAP. 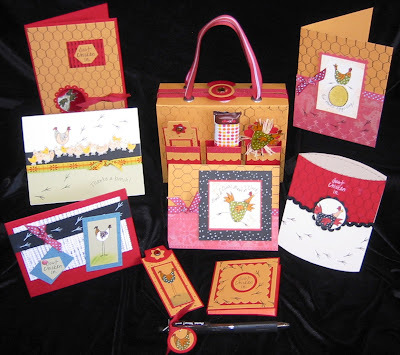 I received a lot of fun pictures this week from some very creative stampers who have made projects from the tutorials they purchased. 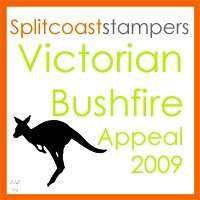 Before I share those, I want to tell you about a very important fundraiser going on at Splitcoast Stampers to raise funds for the Victorian Bushfires in Australia. I have a lot of blogging friends and customers in Australia and have donated a few items to the cause. Please check out the details of the non-raffle here and view the amazing items in the non-raffle prize gallery here. To date the non-raffle has raised over $2000, but we can do better! The date for the raffle has been extended to April 3rd. Nancy Horn, a fellow Idaho demonstrator from Jerome, made this one using the Cheap Talk set and Good Morning Sunshine DSP. She used vellum card stock for her inside pockets instead of transparency paper. You can see Nancy's blog here . 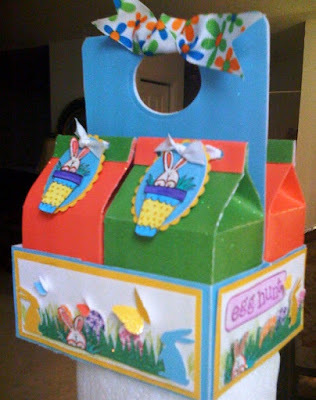 Kathy Orta, one of my newest demonstrators in FL, made this Milk Carton Container for Easter. Kathy is the queen of the Cricut! Heather Heroldt of Scottsdale, AZ made her Tote-ally Awesome Tote with the retired Best of Cluck set. I miss those chickens, I loved that set! And speaking of baking, Rebecca Ball, who's sister Emily is in my downline, made this adorable lady bug cake for a lady bug baby shower she gave. How's that for a weeks worth of sharing all in one long posting! what adorable projects everyone did. Thanks for the reminder about the bushfire nonraffle appeal it reminded me to make a donation! Looking forward to receiving my dsk set tutorial instructions too. You are positively brilliant with all your 3D projects. I'm saving up for the 12 days of Christmas Instructions as well. Thanx so much for the fundraider reminder - you're such a star!! 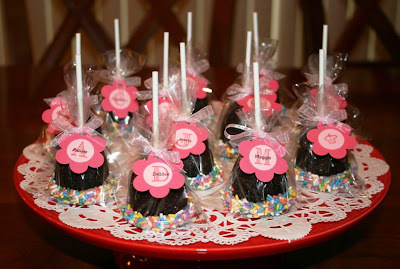 I love the brownie pops! Do you think she would share how she made them? Would Paulina be willing to share how she makes her Brownie Pops? I'm drooling as I type . . .
Hit The Nail On The Head!